Home / #Health / #TrueNews / India / #Health : 542 people have died of swine flu so far this year in India . #Health : 542 people have died of swine flu so far this year in India . As many as 542 people have died of swine flu so far this year, with Maharashtra alone accounting for almost 50 per cent of fatalities. Maharashtra recorded 217 deaths out of 1,793 cases reported till October 14, said a government official. It was followed by Rajasthan where 191 people succumbed to H1N1 complications out of 1,912 cases during the same period. In Gujarat, 45 persons died out of 1,478 reported cases, the official said. The country has registered 6,803 swine-flu cases so far this year as compared to 38,811 cases reported last year. Last year, 2,270 people had died due to the H1N1 infections. Delhi has recorded one death and 111 cases till October 12, the official said. Union Health Minister JP Nadda recently reviewed the seasonal influenza outbreak situation in the country. The reports on cases and deaths of influenza A (H1N1) are based on the reports received from states/UTs to Central Surveillance Unit, Integrated Disease Surveillance Programme, National Centre for Disease Control (NCDC). Considering the seasonality of the seasonal influenza, Nadda has directed the officials to ensure continuous monitoring of cases. 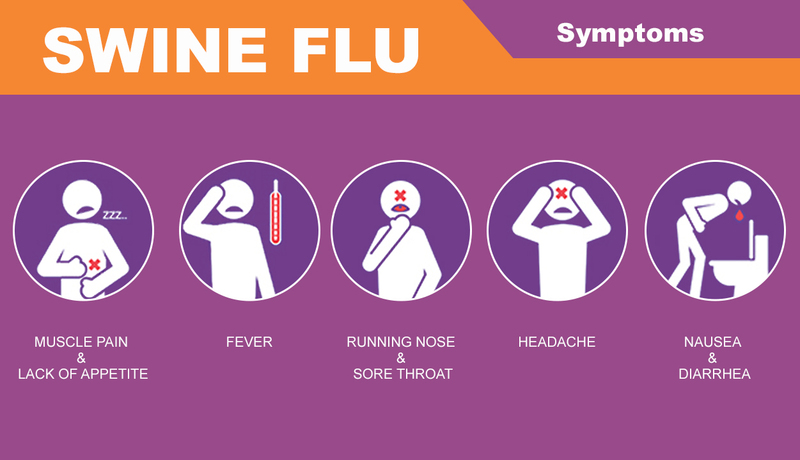 He specifically instructed that early detection, reporting and proper categorization of patients is critical for seasonal influenza management. The Minister has instructed the National Centre for Disease Control (NCDC) to monitor the cases on a daily basis, the official said. He has also directed the states to ensure that there are sufficient supplies of drugs and testing kits and all cases which require hospitalization are monitored intensively both at district and state level so that fatalities can be avoided. "Availability of sufficient functional ventilators for critical case management is important. The NCDC and Emergency Medical Relief (EMR) are coordinating with the states to provide training for ventilator management, if need be," the official added.